With over 35 years in the salon industry, I have never experienced such a thorough and brilliant program on building a full clientele of your ideal and best clients. 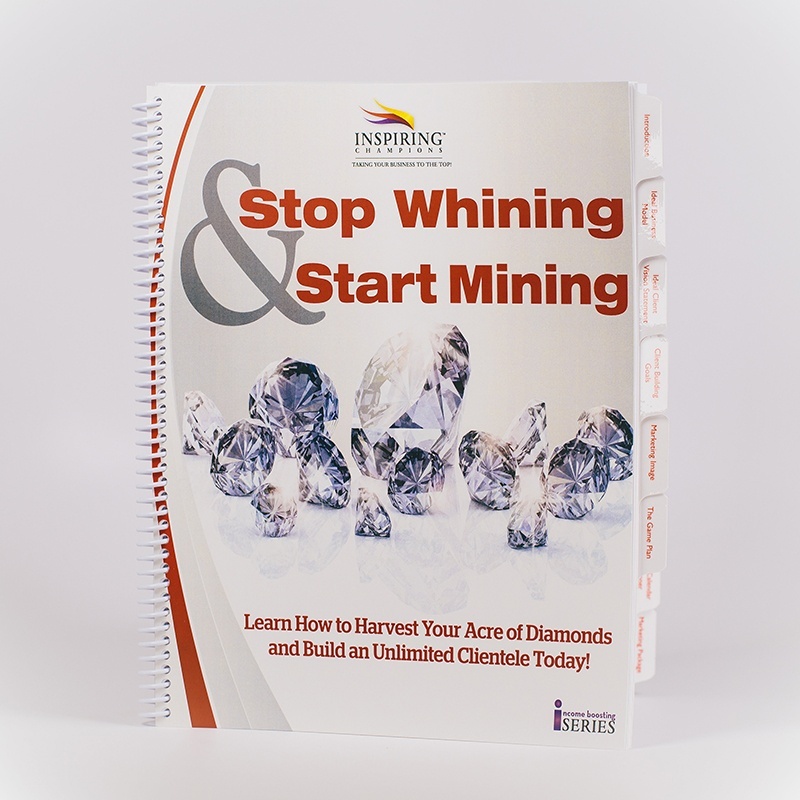 Stop Whining and Start Mining! A comprehensive, client building program designed to be implemented at your own pace for Salons and Day Spas. We will guide you through writing your Ideal Business Model, Ideal Vision Statement and Client Building Goals. An interview with Mark LeBlanc, author of ‘Growing Your Business’ and conversations with other Salon and Day Spa owners, managers and technicians will encourage you along the way. Having too many of the wrong kind of Clients? A lack of Systems to help new or existing Employees build a Clientele? Identify your Ideal and Best clients and attract them to you NOW! Inspire your existing clients to enthusiastically build your business for you. Powerfully introduce yourself to anyone, anytime and anywhere. Market and promote yourself for little or no money. Build an empire through networking. Ask for referrals and get them. ALSO included is a REAL client interview! Hear from clients just like the ones you serve & learn firsthand what you need to know to GET them and KEEP them. You will enjoy over six hours of educational materials and supporting documents to get you on your way to having the clientele you desire.